Because Gmail is very scary and reads my emails, there was a hilarious advertisement at the top of my email for bird diapers. This amused me greatly because I had just emailed my friend Jen explaining the plot from my Tiki Room script. 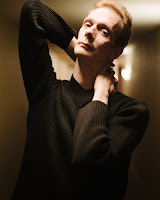 Which may be the one and only time I have ever talked about birds in an email. Ever. Technology doesn't miss a step. 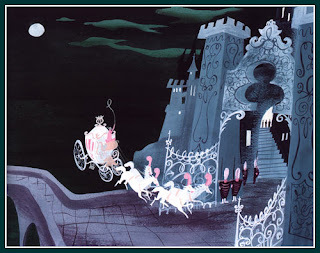 Speaking of Disney, allow me to segue into the Mary Blair portion of the blog. 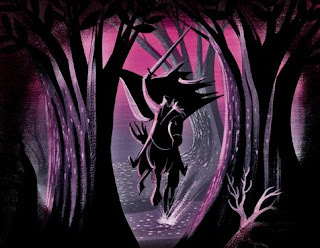 While watching the special features on Disney's Cinderella, I was introduced to an artist named Mary Blair. Her work felt intensely familiar. Then I remembered a Disney book I owned as a child, illustrated by Blair. But her work would feel familiar to anyone who grew up watching Disney films. Many of their animated classics are based off her concept art. She worked for the mouse house, almost solely doing just that, or so I gathered from the 15 minutes or so of special features about her. Her art appeals to me very much. I like the colors, the Al Hirschfeld exaggerations common of the era, the shapes, the composition...I find her style appealing in almost every way. 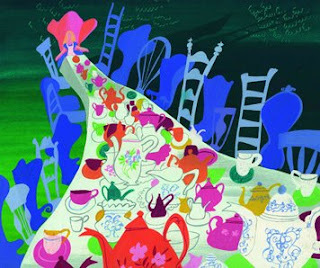 When I look at Mary Blair's paintings, I instantly want to create. Doesn't even matter what. I could sit down and write, or even pick up a brush again.